The man who owns a quarter of Derby County is talking at length about his plans for a comedy tour with Ricky Gervais, why he turned down the BBC’s request to appear on Dragons’ Den and the technicoloured poncho he wears while sitting with fans at matches. He is responding to the suggestion that he may be something of a maverick. 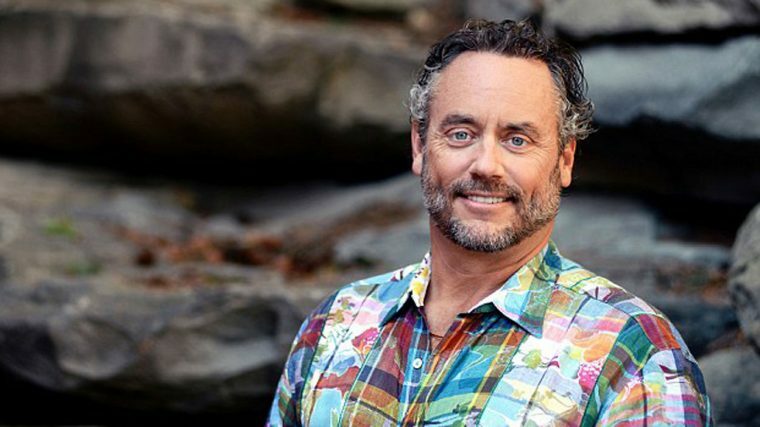 ‘It was actually the original working name of my book,’ says Canadian businessman W Brett Wilson. Wilson (the W stands for William) is a well-known figure in his homeland for his television appearances and charity work and he may be about to earn fame in England, with Derby one win away from the Barclays Premier League. He will be at Wembley on Saturday and is promising to bring the pink-blue-red hoodie as he divides 90 minutes or more between fellow owners in the directors’ box and friends and fans in the stands. Wilson, said by Forbes to be worth $1.5billion, is one of a clutch of investors from north America who bought Derby for around £50million in January 2008. His shareholding stands at 25 per cent, a similar level to Tom Ricketts, who also owns the Chicago Cubs, and slightly more than Jeff Mallett, a Yahoo! founder with shares in the San Francisco Giants. Together they leave the running of the club to chief executive Sam Rush. Wilson, who made his fortune in investment banking, remembers when the group took over with Paul Jewell at the helm and the team ‘getting kicked unceremoniously out of the Premier League with the worst record ever’. He admits to making mistakes as the club struggled in the Championship — leading to supporters staging a protest over a perceived lack of investment. But he insists the error was in wasting money on the wrong players. ‘As a group we’ve invested over $100m,’ explains Wilson. ‘We ended up writing cheques that were triple our original investment to keep the team floating. Over the years we did nothing but buy high and sell low with the players. Nigel Clough’s sacking led to McClaren’s arrival last September and his impact has Derby entering a match worth more than £120m in television money alone. Queens Park Rangers provide the opposition. Derby’s £7.1m losses are within the league’s Financial Fair Play regulations but QPR face a fine of around £50m if they gain promotion after losing £65.4m last season. There was, however, a filmed date with Canadian TV personality Mary Zilba, from Real Housewives of Vancouver — ‘we built a wonderful friendship’ — and time as an ice hockey referee at university. His love for the sport has led to his ownership of NHL team Nashville Predators but football is his focus at Wembley. Derby’s players cannot countenance choking on Saturday.